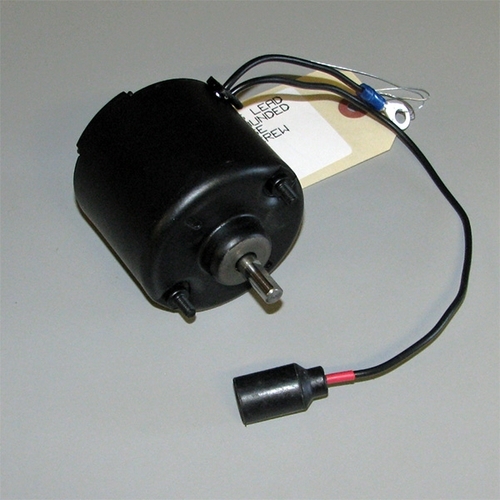 Heater blower motor for all 2.5 and 5 ton military trucks in the M35, M54, M809, and M939 series. 24 to 28 volt. P/N 4E-0002, 30040-01. NSN 6105005129225. Also replaces the HMMWV blower motor P/N 30042, NSN 6105014635260. Made in USA. The motor has a separate ground wire that many early motors did not have. This wire must be secured under one of the mounting nuts. For the blower motor low speed resistor used on some vehicles see p/n 8710856.